Todays’ Wallpaper Wednesday comes from Mini Moderns in the form of this gorgeous print, Camberwell Beauty. Shown here in Midnight, this rich, vibrant colour is from the ‘Buddha of Suburbia’ range launched in 2012 and features a butterfly kaleidoscope print. I love that it’s bold and dramatic and could be a fabulous feature wall. It could be used in any room in the house; wouldn’t it look amazing in a bedroom, and equally so in the dining or living room. Use it with other blue shades and keep it calm and cool, or add flashes of orange or pink for a contrasting, striking look. Great with a traditional scheme or a modern, mid-century feel, I just love the versatility of this design. Available also in a jet black and gold colourway, this wallpaper sells for £45 per roll. A mid price range that makes it accessible to a wide audience. 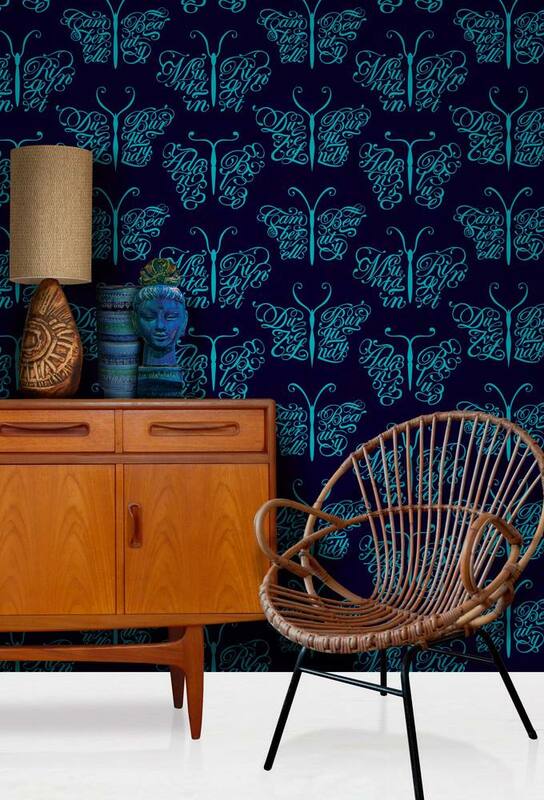 We just love this wallpaper! Available from the Mini Moderns website.